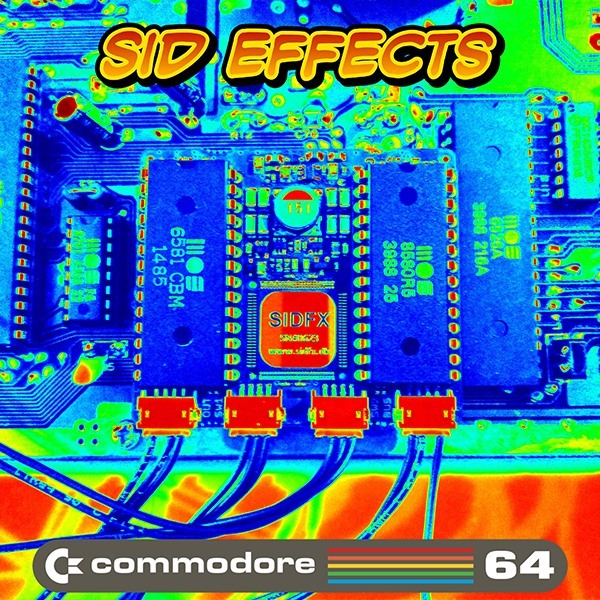 Indie Retro News: SID Effects - Double C64 Album goes FREE! 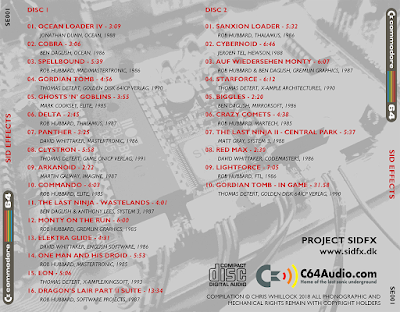 SID Effects - Double C64 Album goes FREE! The weather is roasting outside so to keep us all chilled while we sit indoors with a fan blasting at the side, we are pleased to announce from the SIDFX (6581 + 8580) of the mighty Chris Whillock, comes this double album of lovingly recorded SID tunes called ' SID EFFECTS '. 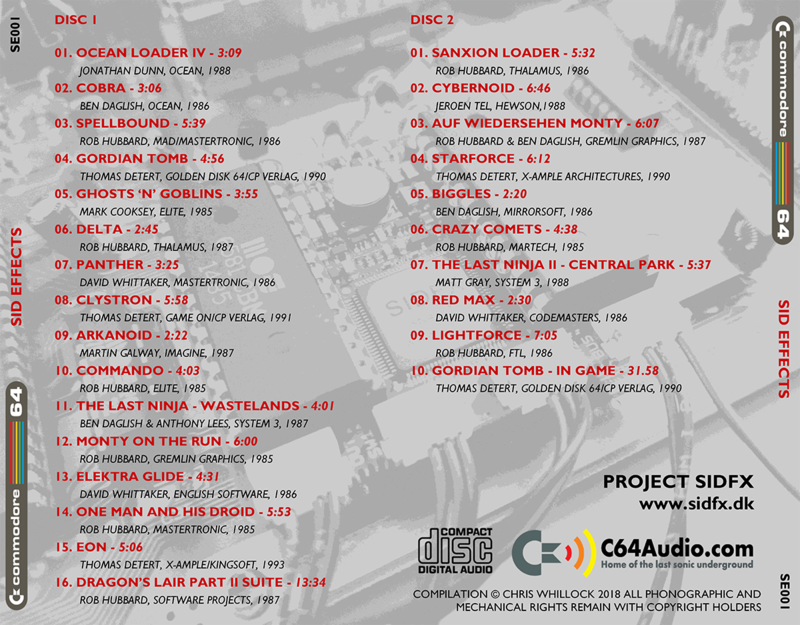 This now free album packs a mighty punch full of classic tunes from our youth such as Ocean Loader IV, Ghosts 'n Goblins, One Man and his Droid and many many more packed onto two CDS! As noted by the description: this album was recorded in 24/96 FLAC (with those FLAC also coverted to MP3 straight from the HQ Master), these SIDs are crisp and lovely. And free! Did I mention free? Chris W. did this to give back to the scene and is very happy to know he's making SID fans... er... happy!